As always, we list the features of the month, and then I tell a story. Our bargains & features will definitely help you prepare for, and get through the coming winter. I have a question for our readers; we are considering doing a bunch of TV ads, which means producing a video. 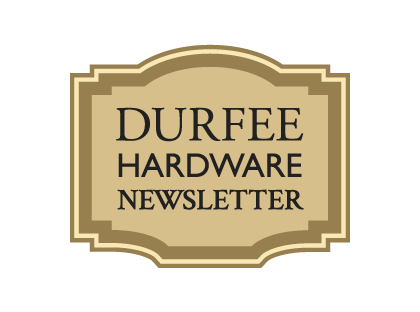 What is it about Durfee’s that you think we should highlight in the advertisement? Of course, we will have my nephew Ryan do the “voice over” because he sounds great in our radio ads. Send us a note with your ideas by using the contact form at the bottom of this page. Computers and the internet are everywhere so you almost don’t think about them anymore. My Dad was pretty much not interested in computers. It even took us forever to get him to use a credit card, but necessity is the mother of invention. Us “kids” changed the store over to a computerized inventory, point-of-sale, and accounting system; and because it has to do with business, my Dad made a point of learning how to use the computer for those things. Like it or not, you can find out almost everything about anyone on the internet these days. I “Googled” my brother Paul recently and one of the first things that comes up is that he is an actor. Huh? An actor? Believe it or not, films have been shot in the store and my brother has been an “extra”. Well, hardly even an extra. As he says, “I stood behind two guys having a conversation” in a scene from a movie called “Almost Human”. He was also in two scenes in “Painless” which was showed last month at the Pawtucket Film Festival. You can come in and get his autograph, if you like. It’s nice to know my family are not the only ones that think the hardware store is a cool place. So what else happened “before the internet”? (Is there even such a thing?) Certainly lots happened, but one thing you might find interesting is that Paul was in the RI House of Representatives between 1978 and 1982 (for those that like the “inside baseball” of politics, the district boundaries were re-drawn in 1982). My Dad always told me not to mix politics and business, so I will skip on right to something interesting about hardware. My brother was a member of the True Value Ad Council in 2006. For a cooperative with over 4,000 stores, it shows you how well respected Durfee’s is for him to get that appointment.